The appearance of weathering steel or high strength low alloy (HSLA) steel may also be affected by other factors. During recrystallization the rust will trap particulate matter on the surface. If this material is colored it will contribute to the appearance of the rust. For example, in dirty industrial atmospheres the rust on weathering steel can be almost black due to the incorporation of airborne dirt. Chemical cleaning treatments such as acids can convert the hydrated iron oxide to other iron compounds of different color or appearance. In atmospheres with significant content of sulfur oxides deposits of white to yellow ferrous sulfate may appear in the rust on weathering steel. In some climates organic growth such as moss may be present and affect the appearance of the rust. 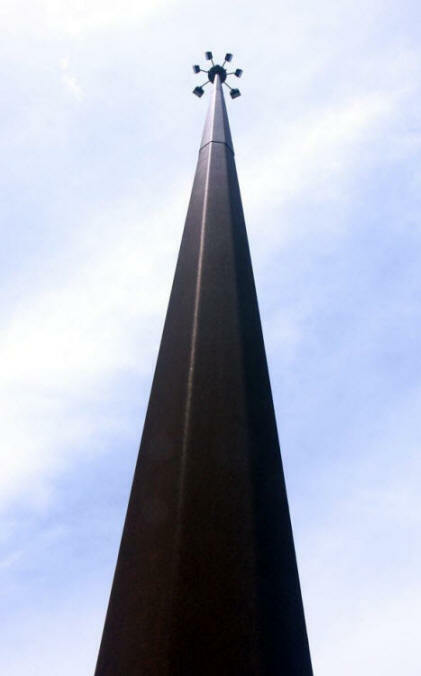 Discolored areas on a weathering steel sculpture could be due to any of the variety of factors described above, or excessive corrosion. The rust layer on weathering steel in many climates does not consume a significant amount of steel in its formation, so removal in most cases should not affect the strength of the work. However, in some cases of inappropriate design crevices or pockets will trap water and the continual presence of water leads to excessive corrosion evidenced by rust flaking or observable metal loss.